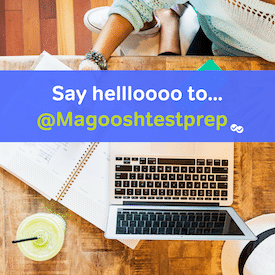 While we at Magoosh aim to help every student achieve their goals—and take great pleasure in seeing them do so—we must also occasionally bear bad news. This is one of those occasions: there is no method for achieving a perfect Miller Analogies Score. We’ve delved into this before (Average MAT Scores), but since it is such a popular question for students taking exams, it is worth it to look deeper into why a “perfect score” is all but unattainable. Of course, we will also look at what score you can aim for. Throughout the blog, I often refer to the MAT as an “IQ” test. The actual test maker refers to it as a “high-level mental ability” test. It is technically different from other IQ tests since it does not provide you with an IQ score. However, the entire exam is made up of analogies, which are one of the principal ways of testing IQ verbally; high IQ societies actually stopped accepting tests like the GRE and the SAT shortly after they removed analogies. Secondly, the MAT is accepted by all the major IQ societies as a test of general intelligence: Mensa, Triple Nine, Prometheus, etc. But the most important reason to call it an IQ test is the scoring. The MAT uses a score range of 200-600. The exam is designed so that most students fall to the center (400). A score of 425, one standard deveiation above mean, will be higher than 90 percent of test takers. A score of 450 (two SD’s above average) will be higher than 98-99 percent of test takers. A score of 500 is higher than 99.9966 percent of all test takers. So try to imagine just how rare a perfect score is. Like all IQ tests, the MAT is designed to separate people this way: most people score near the middle, and ninety-eight percent of test takers do not score more than two SD’s from the middle. Every few years, they readjust the question difficulty to make sure this happens. What Miller Analogies score should I aim for? After all that dreary test information, here’s some good news: the majority of research shows that people can improve on IQ tests. Further, as you saw above, it does not take much improvement to stand out on an IQ test. Improving just 10 points above average puts you in the 70th percentile. Most of the research demonstrates that simply practicing the type of thinking you will be tested on (analogical) for 8-12 weeks yields score increases of 5-10 points. With proper studying, most students should be able to achieve a score in the 70th-80th percentiles. Nope. I got a 476 the first time and a 476 one year to the day when I took it last. I would like to take it again, but I’m researching how one can write code to generate analogies an I’m finding myself going down a rabbit hole. Very interesting, Patrick! So if I understand correctly, you’re taking the MAT to research test design and computer coding?